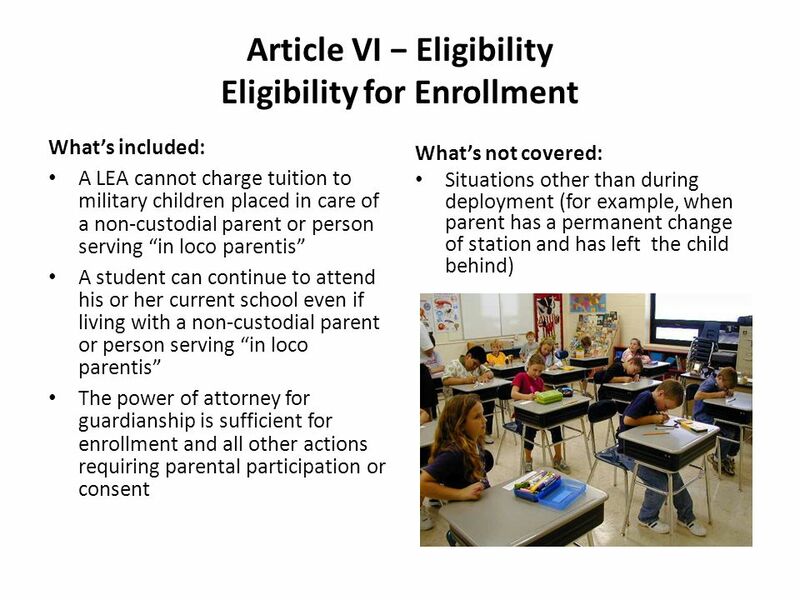 Interstate Compact on Educational Opportunity for Military Children Implementation. 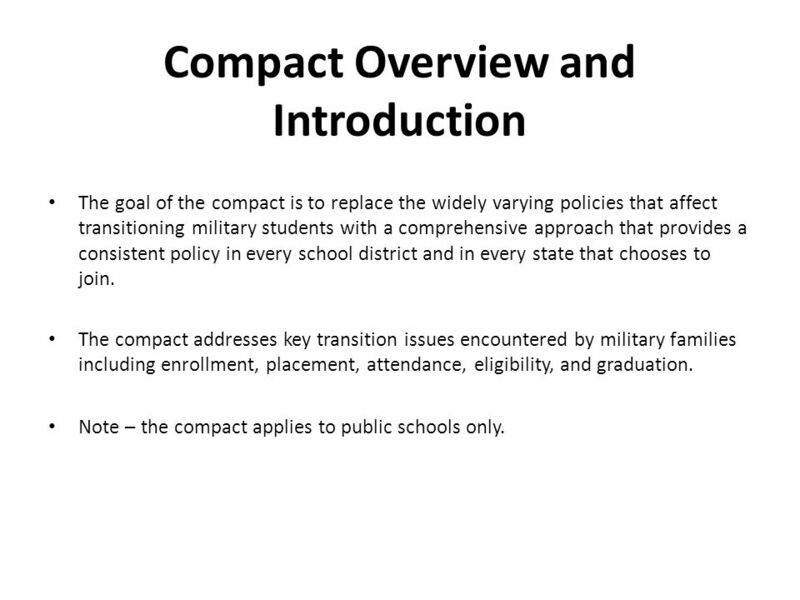 2 Compact Overview and Introduction The goal of the compact is to replace the widely varying policies that affect transitioning military students with a comprehensive approach that provides a consistent policy in every school district and in every state that chooses to join. 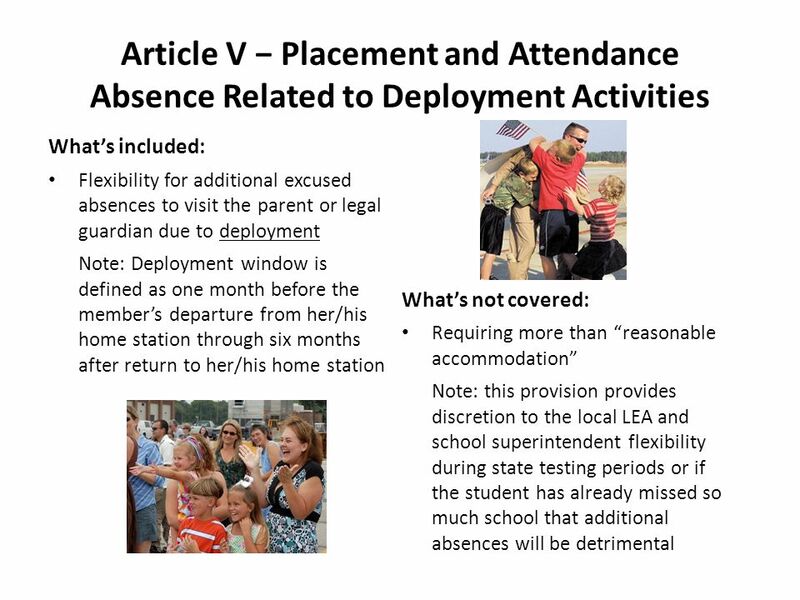 The compact addresses key transition issues encountered by military families including enrollment, placement, attendance, eligibility, and graduation. 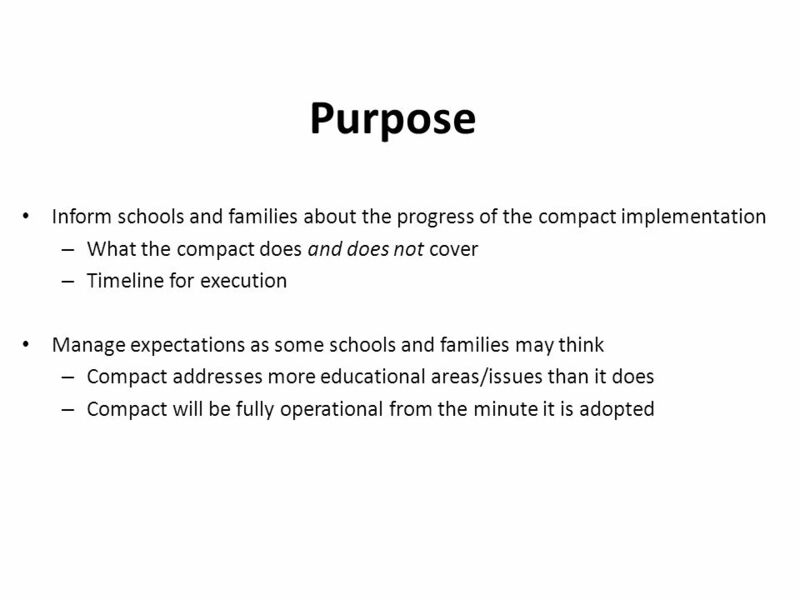 Note – the compact applies to public schools only. 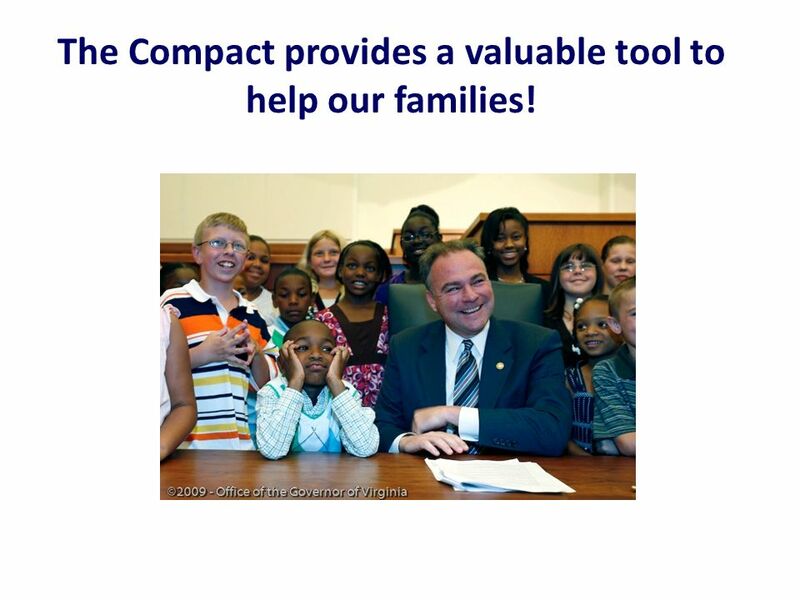 18 The Compact provides a valuable tool to help our families! 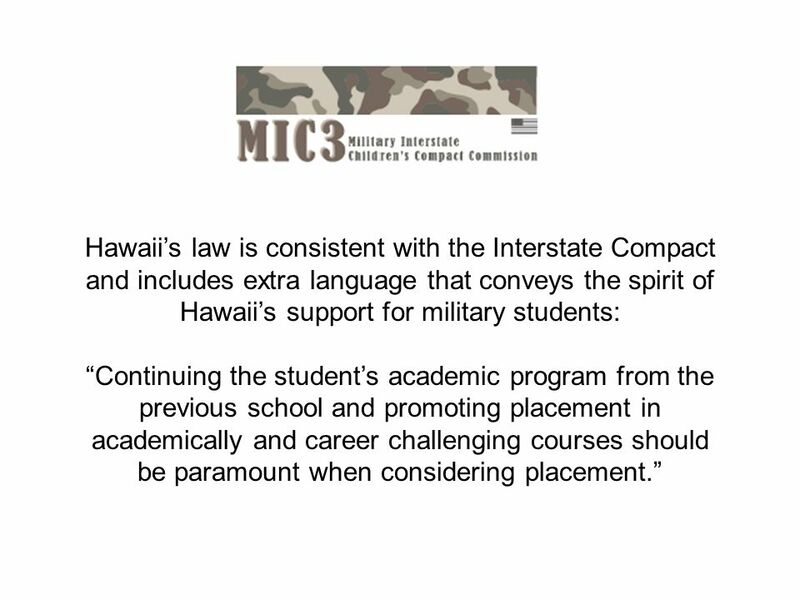 19 Hawaiis law is consistent with the Interstate Compact and includes extra language that conveys the spirit of Hawaiis support for military students: Continuing the students academic program from the previous school and promoting placement in academically and career challenging courses should be paramount when considering placement. 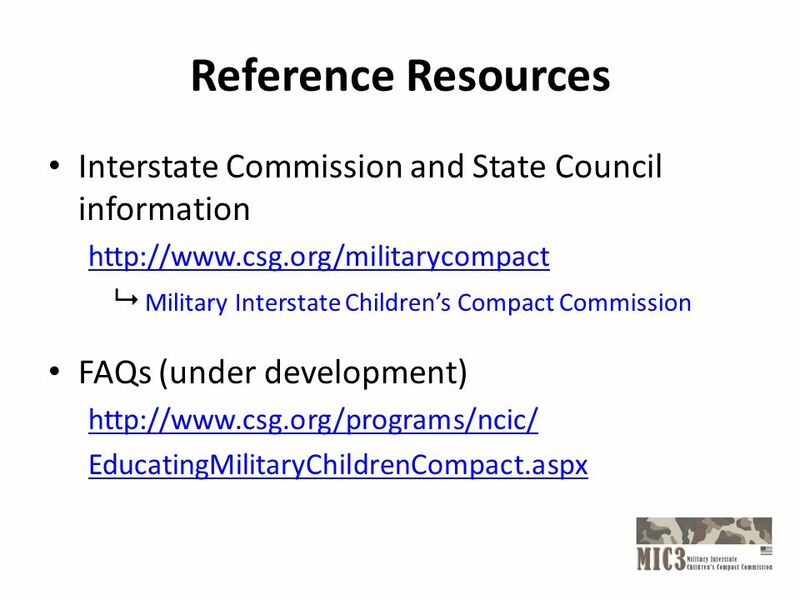 Download ppt "Interstate Compact on Educational Opportunity for Military Children Implementation." 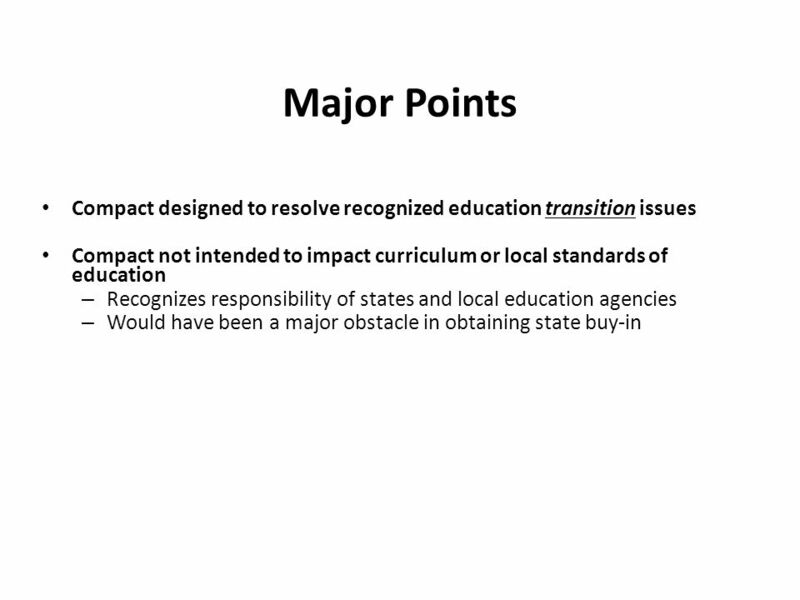 Response to Intervention in Illinois November 22, 2008 Presented by: Beth Hanselman and Marica Cullen Illinois State Board of Education. 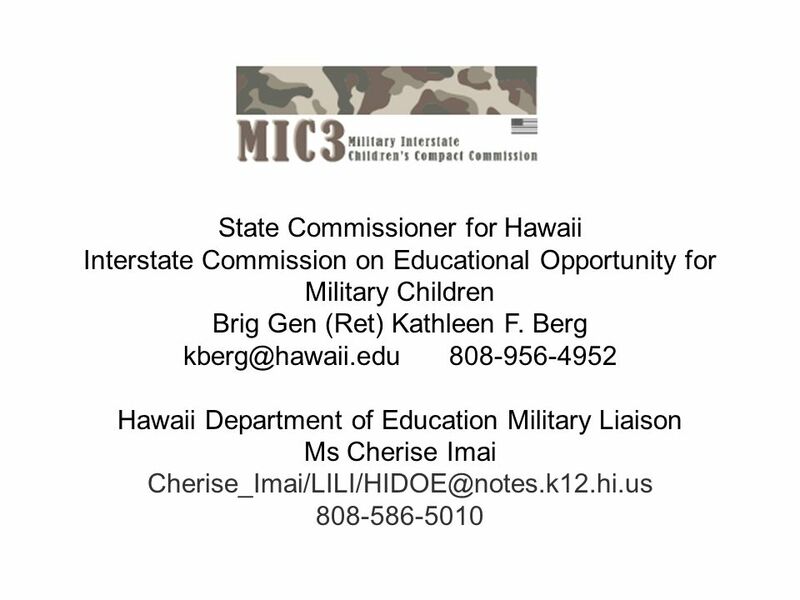 Supporting Educational Transitions for Military Children. Child and Youth Education Services School Liaison Officers. Stan W. Heffner Associate Superintendent Center for Curriculum and Assessment Ohio Department of Education. 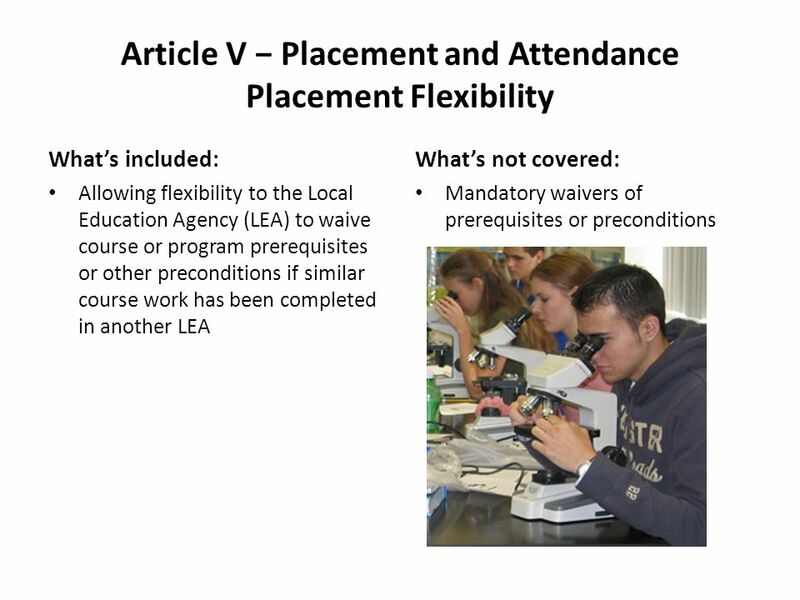 Title I, Part A Targeted Assistance 101 Field Services Unit Office of School Improvement. 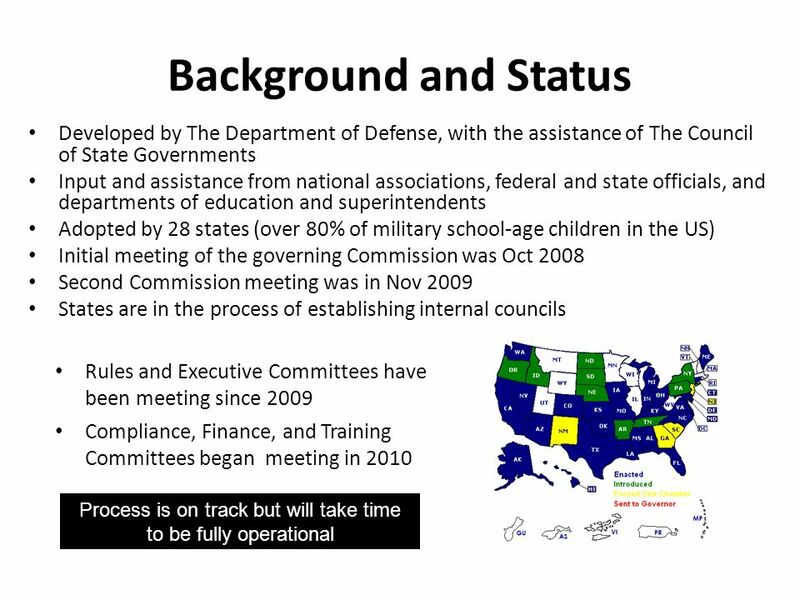 Florida’s Military Student Education Initiative Florida Department of Education Bettye Hyle, Team Leader University of South Florida Florida Department. Student Services I: Students with Disabilities & other Special Populations Fall 2014 High School Counselor Conference. 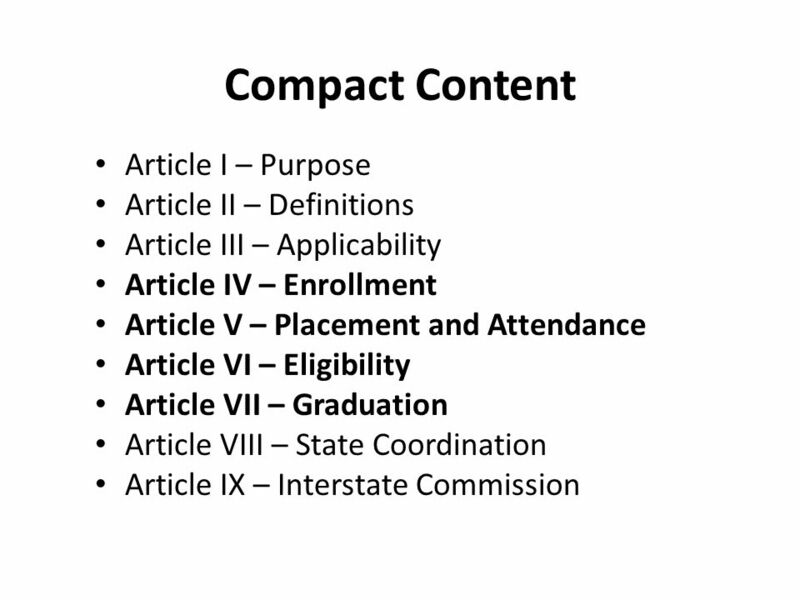 ORIENTATION TO THE INTERSTATE COMPACT 1. 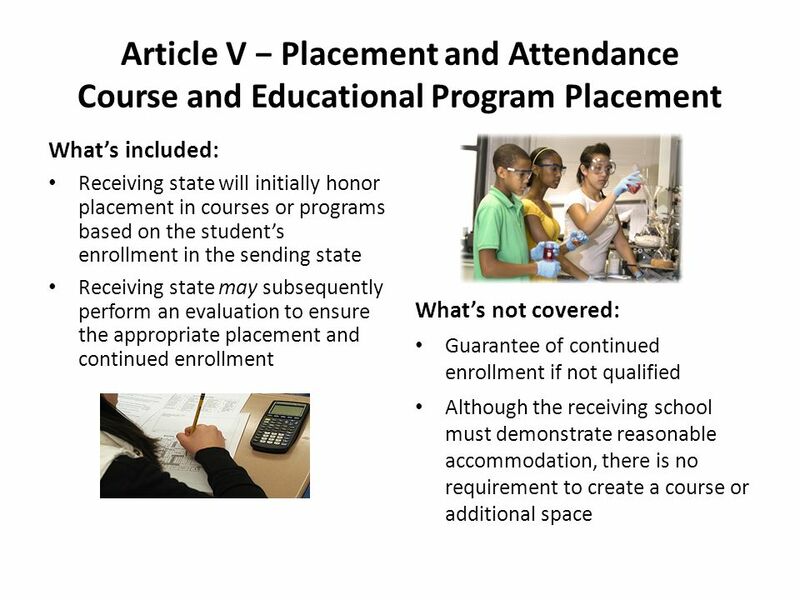 Typical student experiences between 6-9 transitions Adjustment to New School Setting Transfer of Services for. 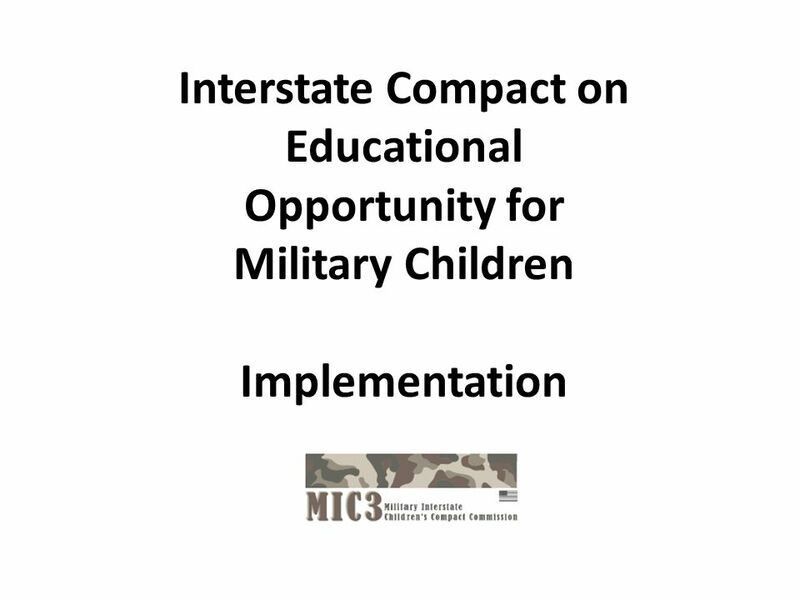 The Interstate Compact on Educational Opportunity for Military Children / Module 1 1 Providing policy, tools, and resources to further enhance the quality. 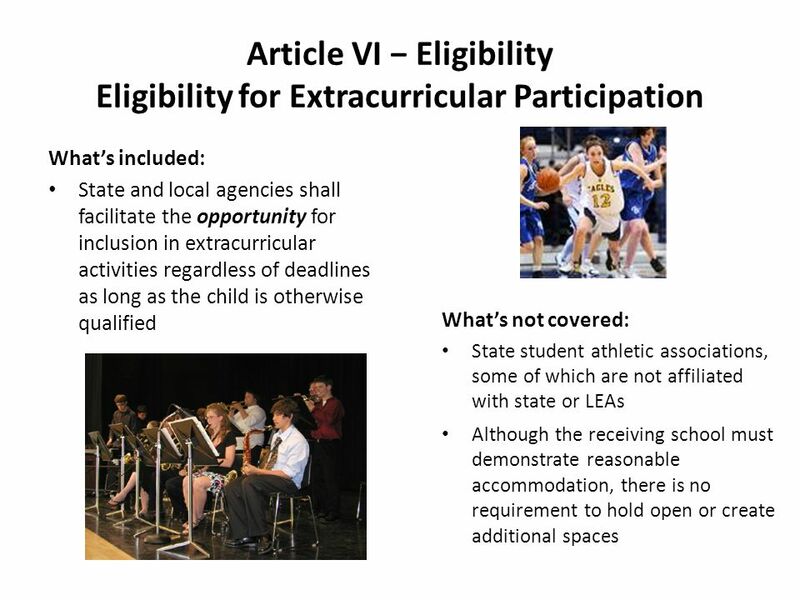 Overview of Virginia Law: Interstate Compact on Educational Opportunity for Military Children Michelle Vucci May 25, 2010. 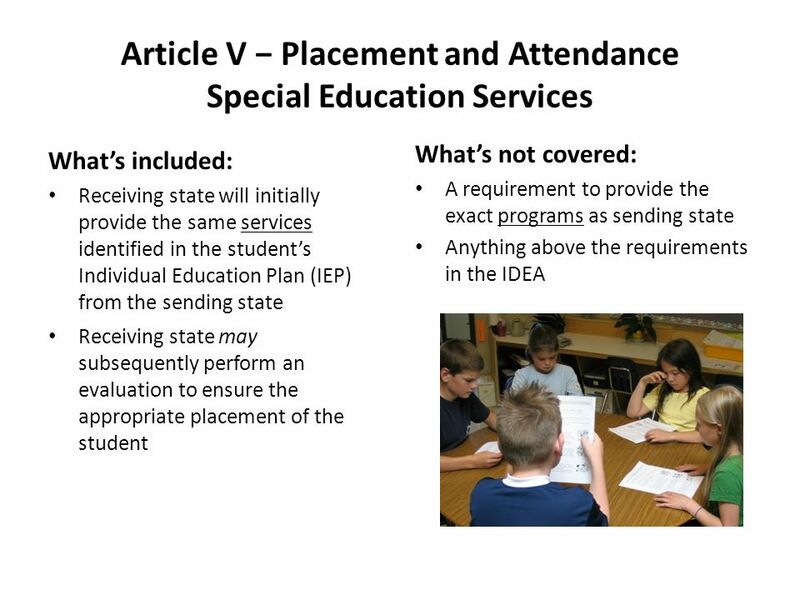 Overview of Serving Students with Disabilities under the IDEA School Counselor Summer Institute June 24, 2014 Olympia, WA Scott Michael Raub OSPI Special. 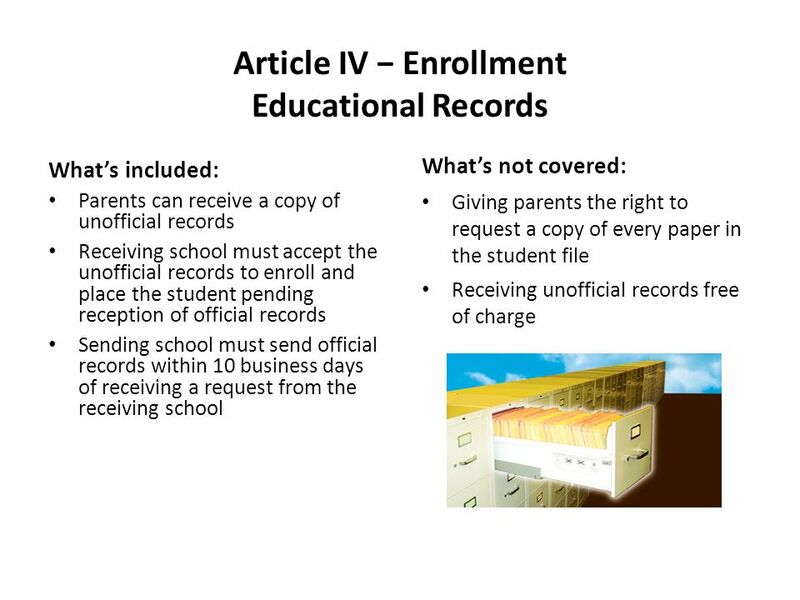 Ensuring Effective Services to Immigrant &/or LEP/ELL Children & Families: It’s Right, & It’s the Law! 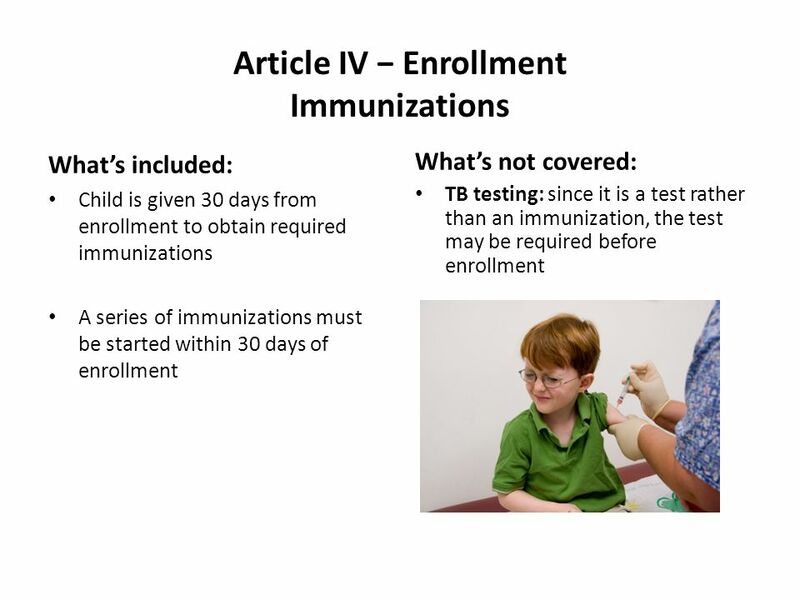 © Statewide Parent Advocacy Network. 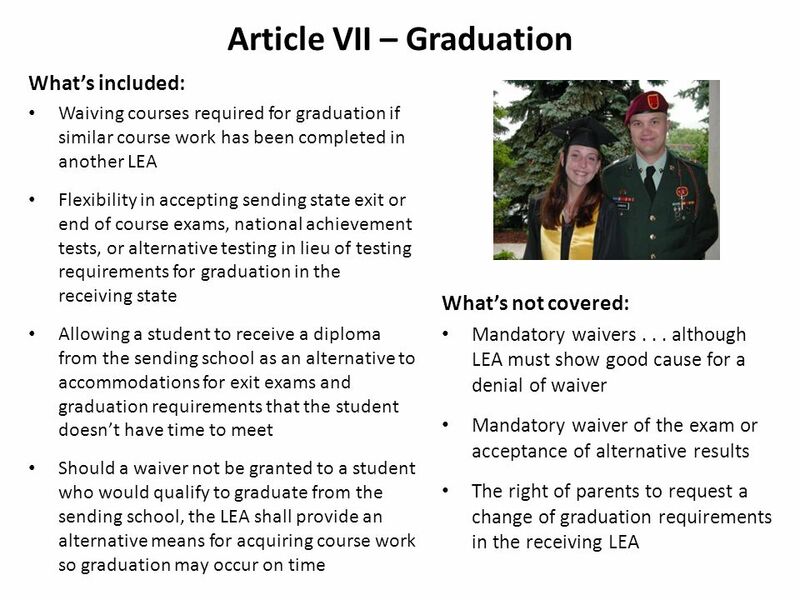 IDEIA Individuals with Disabilities Education Improvement Act of 2004. 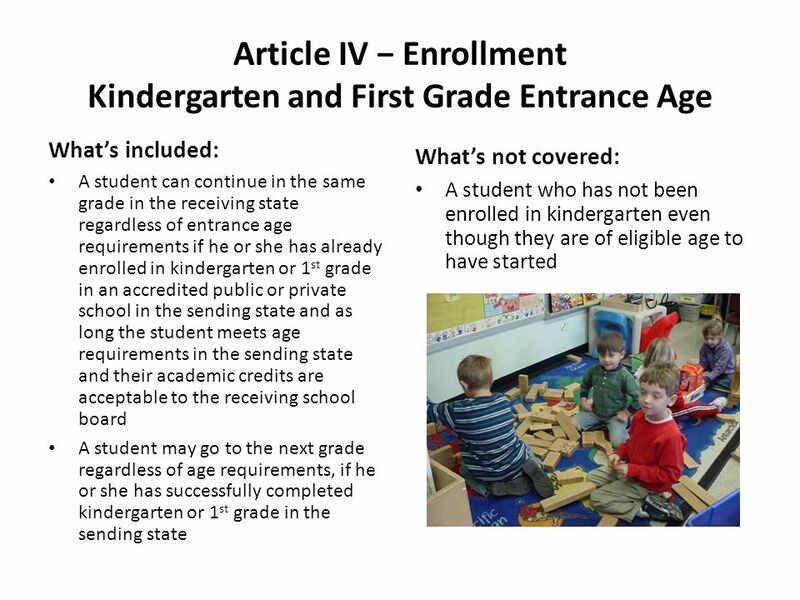 Module 4 The Interstate Compact on Educational Opportunity for Military Children 1 The Interstate Compact On Educational Opportunities for Military Children.